If you have a ITI branded modem from BSNL, you probably wont find much documentation about setting it up for multi-use. The unit is actually an OEM product from SEMINDIA model # DNA-A211. This how-to will show you how to setup the router so that it automatically connects to the Internet on start-up, so that you don’t have to dial a connection. 2. 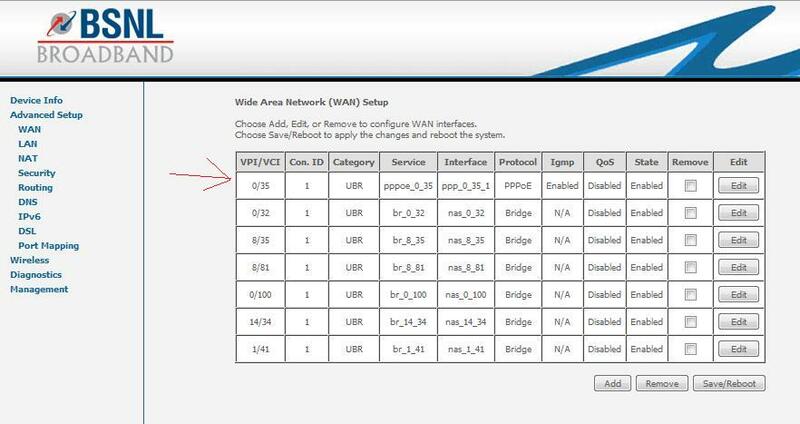 Click on Advanced Setup -> WAN. You should see the following entries. The one we are interested in is the first one as shown. Click Edit. 3. Enter the settings as shown below and click next. Now go into Management -> Save/Reboot. This will save the settings and reboot your router. On restart the modem will establish the connection and you can simply connect to the wireless network. Hope this helped. If you have any questions just ask in the comments section. 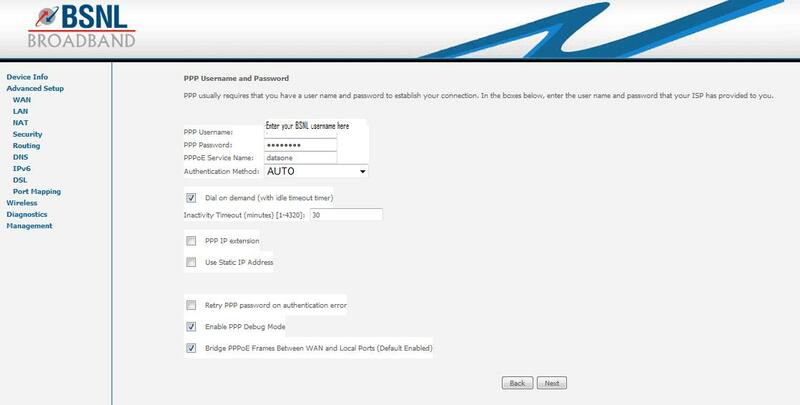 HI, can you tell how to disable the firewall on this router so that port forwarding can work properly.